Today my blog celebrates its fourth birthday. 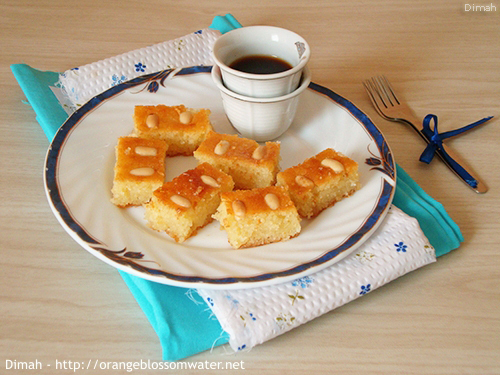 For this special day, I made this easy dessert which is “Nammoura” (sweet semolina cake) . Next post will be the recipe.